Norm, I was one of your teenage volunteers at Trailside back in the early 70’s. I remember all the great times cleaning cages, going on the canoe trip, watching you rappel down the tree in front of the museum, and being totally amazed at how you could stand in the basement, letting an owl fly around loose, then snap out with on arm and grab the bird in flight unharmed. I have not been back in years, but you, and Trailside, will always be special to me. I stumbled across this website by accident, so I can only assume that there are a lot more like me, out there, who you made a major impression on over the years that would post here if they knew about it. You gave me the greatest wildlife experience of my life. 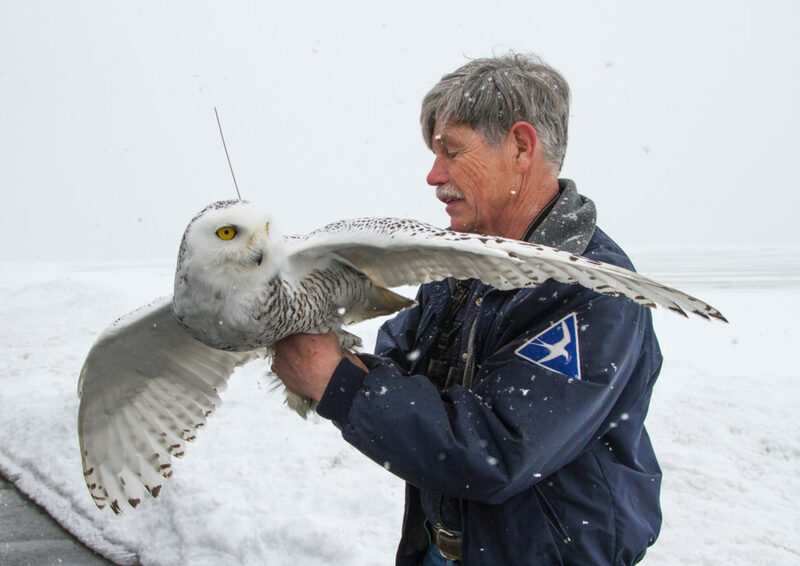 You took me owl-banding at Logan(back when it was legal). One snowy owl landed next to the trap. Then a second landed. The first took off and the second backed into some brush. A gyrfalcon started to strafe the area and finally landed on a dirt pile. I have never seen you so excited as that day. Alas, we didn’t catch the gyrfalcon, but it is a day I will always remember. You taught me so much about natural history and I am so grateful for all our time together and to be numbered among your many friends for all these years. Norm, we love your enthusiasm and your annual September Hawk Watch at Blue Hill. Keep up the great work that you do!